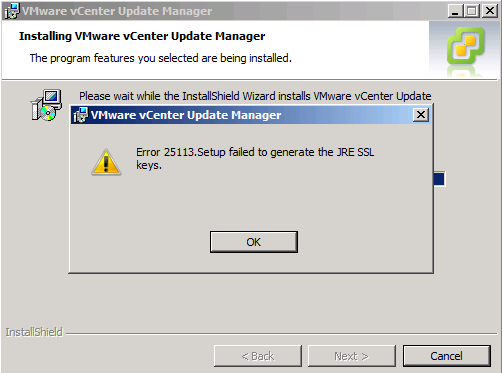 This entry was posted in VMware and tagged vCenter, vCenter Update Manager on April 28, 2012 by afokkema. But… when I added a new Datastore and started a rescan on a cluster ……. vCenter freezes with a deadlock! 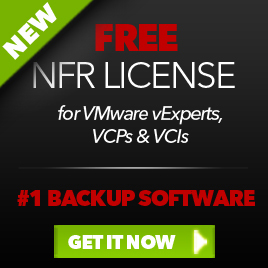 This entry was posted in VMware and tagged Alarms, Rescan, vCenter on January 13, 2011 by afokkema. When installing vCenter Server 4.1 on Windows 2008 Server R2, the installer completes but the installation fails. Some versions of Windows 2008 R2 may already have this component installed. However, it may be necessary to add the Application Server role in Server Manager or simply enable .NET Framework on Windows 2008 R2. To verify that the .NET Framework is enabled, go to Server Manager > Add Features > .NET Framework 3.5.x Features. When you’re done installing the .Net Framework 3.5.x you are able to install vCenter 4.1 on Windows Server 2008 R2. Oh and don’t forget to use the Native SQL client 2008 and the 32bit DSN like I mentioned in my earlier post. This entry was posted in VMware and tagged dism.exe, Server 2008 R2, vCenter on December 22, 2010 by afokkema. 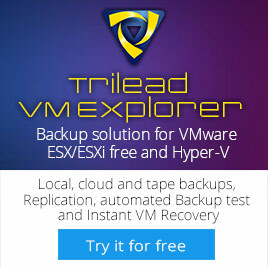 Today I wanted to remove a test vSphere host from my Lab environment but the option Remove was grayed out. This entry was posted in VMware and tagged PowerCLI, vCenter on October 6, 2010 by afokkema. 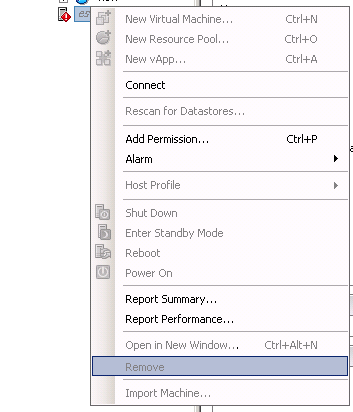 In this post I will show you how to setup Active Directory Authentication in vSphere 4.1. – Before you start. Please make sure that DNS and NTP are fully functional. – Configure ESX/ESXi server’s "Directory Services"
vCenter Server registers any selected Windows domain user or group through the process of assigning permissions. By default, all users who are members of the local Windows Administrators group on vCenter Server are granted the same access rights as any user assigned to the Administrator role. Users who are members of the Administrators group can log in as individuals and have full access. 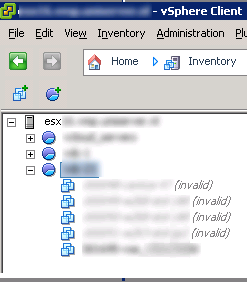 Users who are in the Active Directory group ESX Admins are automatically assigned the Administrator role. After creating the ESX Admins group it’s now time to join the ESX host to the Windows Domain. When you’re managing a small environment, you can do this with five a six mouse clicks per ESX host. This entry was posted in VMware and tagged Active Directory, PowerCLI, vCenter, vSphere 4.1 on September 12, 2010 by afokkema. after the restart of the service I was able to enable maintenance mode on the specific host. This entry was posted in VMware and tagged Maintenance Mode, vCenter on August 23, 2010 by afokkema. 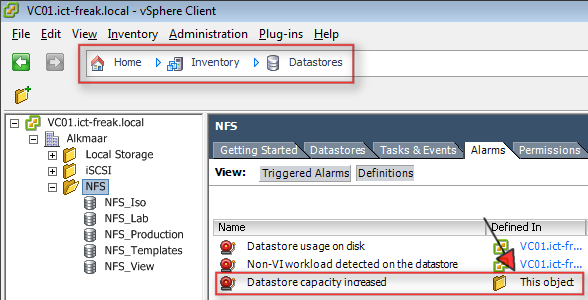 After some issues with a NFS share I noticed that a couple of VM’s changed to Invalid. The VM was still fully operational but vCenter didn’t recognized the VM’s anymore. In my case the solution was to restart the management agent on the host where the VM’s where running on. This entry was posted in VMware and tagged vCenter, vm on August 23, 2010 by afokkema.